People rarely realize the real difference that a high-quality air purifier can make in any given space. Getting your hands on a product that can actually make a real impact for a reasonable price can be difficult as well thanks to the massive presence of false advertisement when it comes to products of this kind. 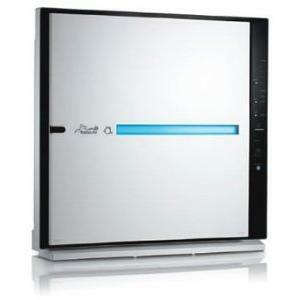 However, the Blueair 650E air purifier is a product that stands out among a crowd of imitators. Its high level of efficiency that is combined with cutting-edge technology allows it to excel where other models of air purifiers fail. The hardware is in place, and the Blueair air purifier reviews agree that this product provides a superior solution when it comes to cleansing the air in your home or office. What Makes Blueair 650E a Compelling Buy? The Blueair 650E air purifier does more than clear the air in the room. It also makes use of filtering technology and added features that actually serve to increase your health. This purifier has the ability to rid the air of nearly all airborne toxins that naturally occur in our daily environment. 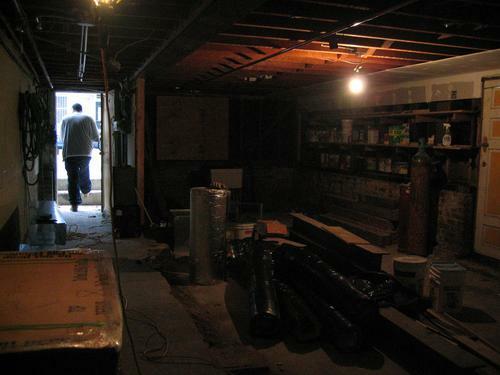 Additionally, it has the ability to clear the air of chemicals that we put into the air ourselves. The Blueair is a good air purifier for smoke filtering. The unwanted heaviness that resides in the air after smoking cigarettes indoors can quickly be cleansed. This ability protects the health of yourself and others in addition to reducing the amount of nicotine and other chemicals that steadily build up on glass and windows. 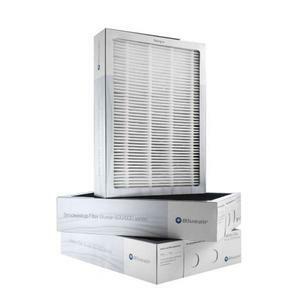 One of the major reasons that the Blueair purifier is such a successful product is its ability to pre-filter air before it actually reaches the certified HEPA filter. Any HEPA filter on the market will lose its ability to filter air once it has caught enough particles to obstruct the airflow of the unit. There is no real guarantee on the amount of time that it will last in terms of visual cues or any other indicator. 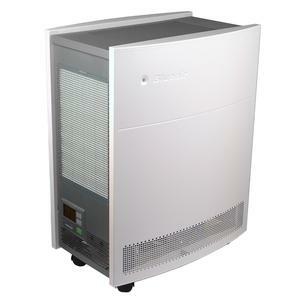 The result is the loss of HEPA capabilities for most filters with just the presence of 10 to 20 micron dust particles. 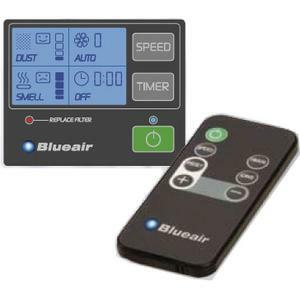 The Blueair filtration system catches these larger particles before they hit the actual HEPA filter, allowing it to remain effective for much longer periods of time. Another major drawback to most air filtration systems is the failure to include ratings for room sizes. In most cases, people will install several units in the same space, believing that they are taking a fairly economical approach. In reality, multiple units do little to reduce the number of air pollutant in spaces that are too large for their capacity. 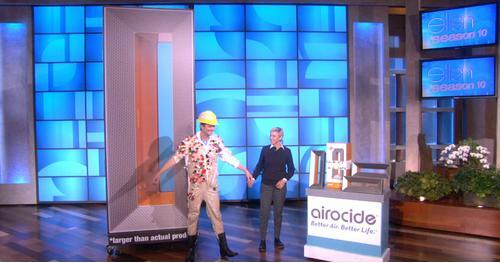 The Blueair can be set to handle multiple-sized spaces in order to remove pollutants. This added feature is also integral in allowing it to be a good air purifier for smoke filtering as well. Inside the Blueair purifier lies the technological keys to its success in addition to the helpful indicators that allow you to maintain the equipment over time with ease. The Sharp Plasmacluster filter is integral for the levels of efficiency that this filter maintains. When it is actually time to change filters, users can easily see the difference. Blue arrows indicate the washable, carbon filters on the interior, red arrows mark the cleanable, permanent pre-filter, and the yellow markings direct you to the permanent HEPA filter. This air purifier also stands at the top of the market due to its ability to work with after market products and add-ons that allow customers to be sure of the filtration level that they are getting from day to day. The Blueair Purifier works with laser counters that measure the number of particles that are present on the various filters on the interior. This purifier is also available at a great price, and it costs very little to keep it going both day and night. It consumes very little electricity, and the ease of maintaining the filter adds to the value as well. The internal sensors also do extremely well when it comes to adjusting the fan settings over long periods of time in order to filter an ample amount of air in an efficient manner. Another common complaint with your average air filter is the noise that it makes while operation. 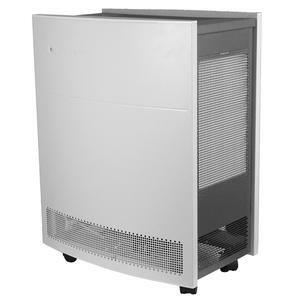 The Blueair excels in this department, doing its job quietly no matter what setting it is using for operation. The digital interface also provide the added bonus of a hand-held remote. Making small adjustments to the settings in the middle of the night can be done without even getting out of bed. All of these wonderful features contribute to the rave Blueair purifier reviews that can be found through any major, online retailer. Customers typically purchase one unit for a particular area of the home and are so pleased with the results that they buy another one in order to maintain the same atmosphere throughout the house or office. 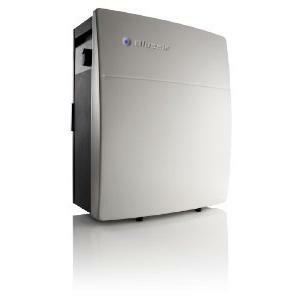 Now that you have seen my take on the Blueair 650E, it is time for you to do your due dilligence. Consider the points highlighted carefully and ask yourself if these are features you’d be expecting out of a well-made air purifier. While this air purifier review is full of praise of the Blueair 650E, it is my duty to remind you that it is always better to seek and compare it against its alternatives. 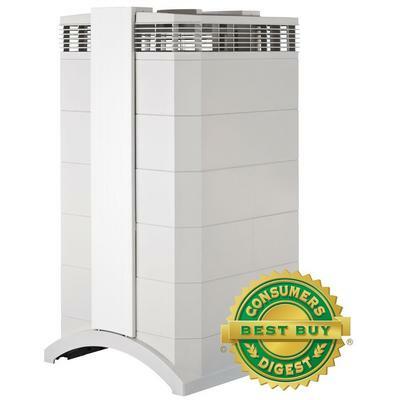 Be sure to check out our pick for the air purifier champion.